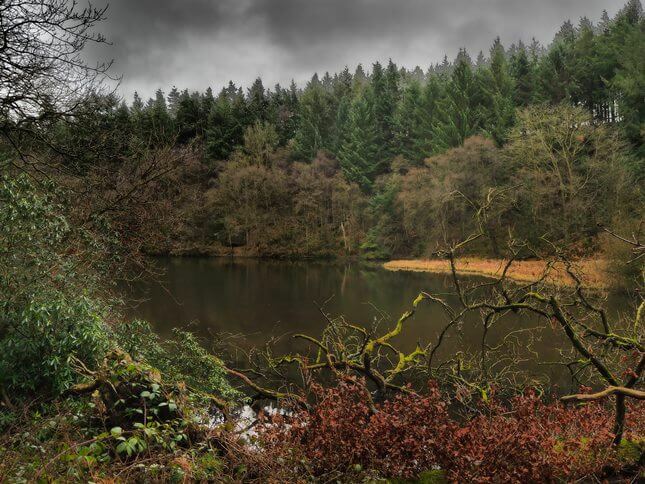 The small bow-shaped Eavestone Lake is situated below the small hamlet of Eavestone and is one of a number of artificial fish ponds that was created in medieval times by the monks of Fountains Abbey. 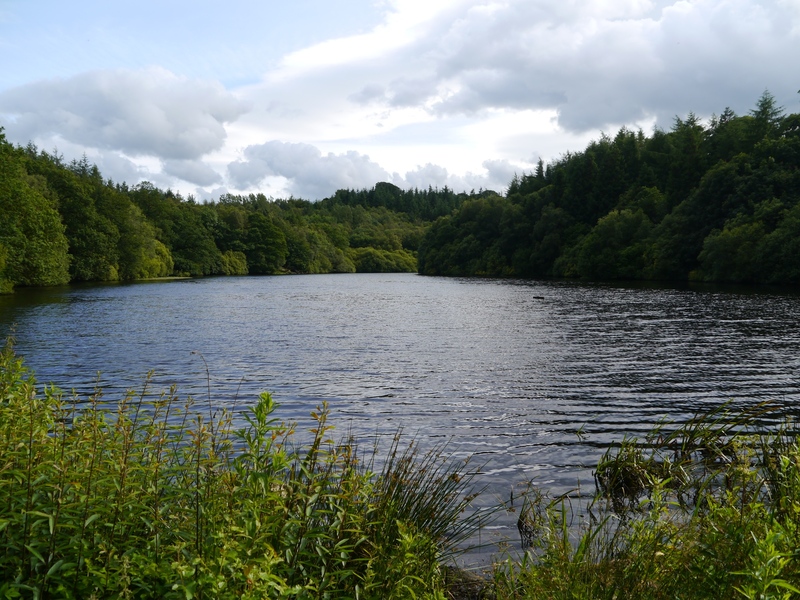 Eavestone Lake is roughly half way between Pateley Bridge in Nidderdale and Ripon and is close to the villages of Sawley and High Grantley. 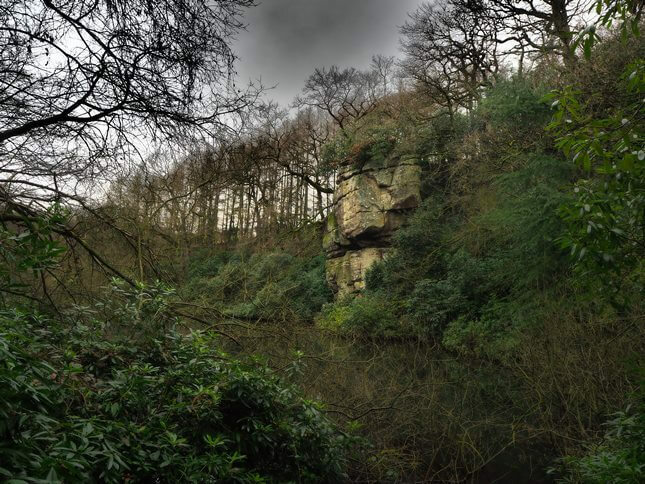 The route of the 40-mile Ripon Rowel walk traverses the north shore of the lake which is in an attractive wooded setting. The woods on the south shore of the lake hide a number of crags that are popular with climbers. There are also lots of gritstone boulders alongside the path on the north side of the reservoir. There is a particularly fine outcrop above the smaller upper lake. 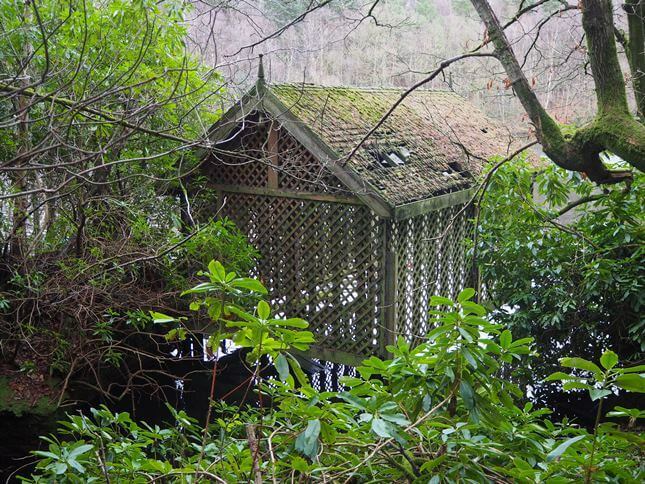 A couple of other features worth noting are the rather ramshackle boat house. The small jetty leading to it is behind a locked gate. The jetty itself looks less than safe and I doubt it is still in use. That said on my last visit I did see a family kayaking on the lake. 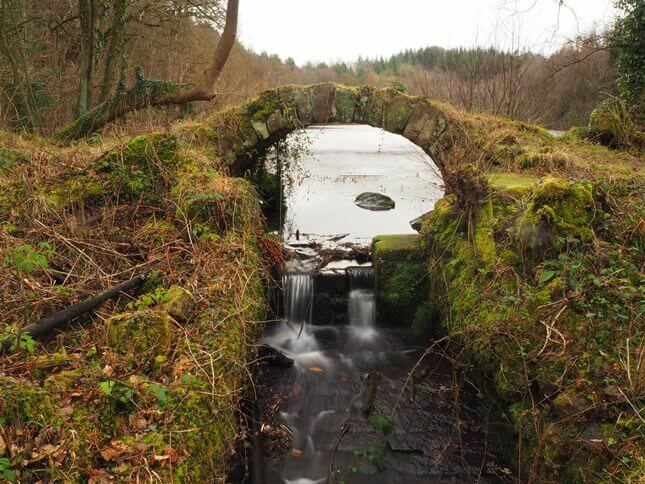 The other feature is a delightful little stone footbridge at the foot of the lake. It is a fantastic spot and shouldn’t be missed.